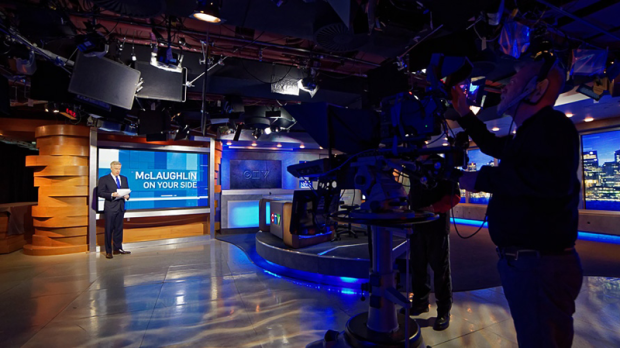 CTV Vancouver is dedicated to being B.C. 's home for news. With the largest fleet of live microwave trucks in the province and Western Canada's first live news helicopter, Chopper 9, CTV News brings viewers news as it happens, wherever it happens in Vancouver. CTV Vancouver (previously VTV in 1997) hit the airwaves on Sept. 1, 2001. We have been honoured with awards from a number of organizations, including the Canadian Association of Journalists, Radio-Television News Directors' Association of Canada (RTNDA), PROMAX, and the Jack Webster Awards. In 2004, CTV Vancouver was the first western Canadian city to launch CTV programming in high definition. Five years later, CTV Vancouver achieved another first in Western Canada - broadcasting CTV News at Five, Six and 11:30 in full HD. CTV Vancouver continues to grow in strength, and through outreach to the community through a presence at many events-most notably live news broadcasts from the Canada Day celebrations and every day of the Pacific National Exhibition-garners new viewers every day.